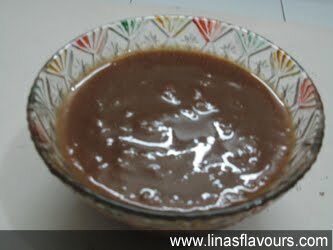 Boil tamarind and dates in 2 cups of water for about 8-10 minutes. See that you take out the seeds from both before grinding. Add salt and red chilly powder. Mix all these and grind it. Strain it so that the threads are removed.